To spare you from the need to humble yourself, we asked Damon Menapace to show us the way through the dog days ahead. Damon’s the executive chef at Kensington Quarters, the Frankford Avenue restaurant that’s developed a stout reputation for knowing how to handle meat. Case in point, KQ has its own butcher shop, which Damon also took on earlier this summer. 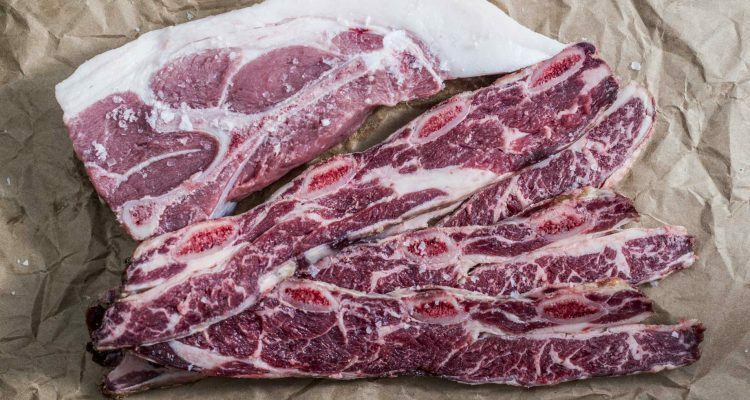 Also known as galbi, these Korean barbeque-style steaks are cut thinly across the bone, so they’ll grill up fast. “Nobody wants to braise a big, square-cut short rib in the summer,” Damon says. Marinate them beforehand. They’ll come out tender, juicy and concentrated with flavor. Sliced with a band saw across the bone, these inch-thick chops are an affordable alternative to the more widely-known lollipops, and they’re packed with way more meat and flavor. “Throw them on the grill with a little baste,” Menapace advises. “They can be chewy, but it’s fun to get messy ripping into them. This is summertime grilling, after all.